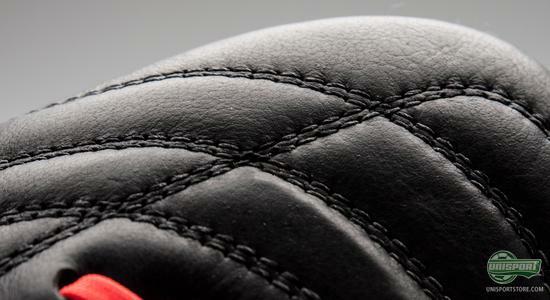 Adidas Adipure 11Pro Black/Red has landed and it does so in a elegant and convincing manner. It manages to combine the classic and elegant features from its namesake, the Adipure 11Pro, with the overwhelmingly quick, lightness from F50 Adizero to make a deadly and irresistible blend. 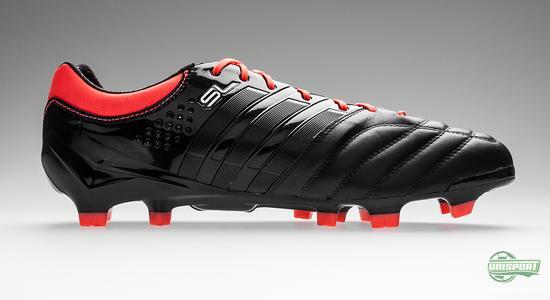 Now here's a new colourway, that goes hand in hand with the theme of the other Adidas launches we've seen today  Black. On one of the biggest Adidas-launchdays ever, Adidas have unveiled the new colourway for the new AdiPURE 11Pro SL  It comes in a Black/Black/Red and is almost a complete Blackout. Black has been a big theme for Adidas, in their new colour updates, and here the 11Pro SL doesn't disappoint, with a colourway, that without a doubt will be immensely popular. 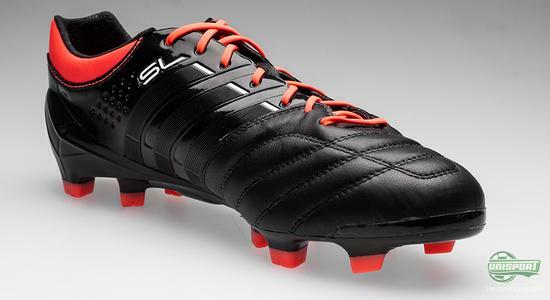 Adidas' SL models were introduced into their AdiPURE-silo in the last generation of the boot, where the AdiPURE IV SL, saw the light of day. The concept is simple; take the delicious upper from Adipure and fit it with a lightweight sole. 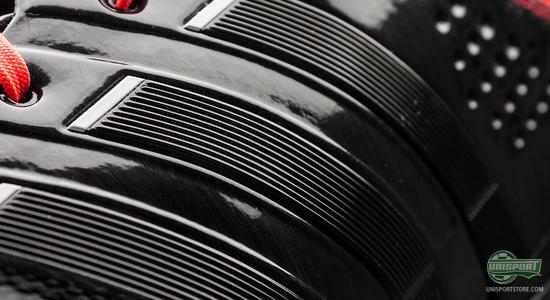 This, all in all, gives a hybrid of speed and elegance, that leaves you lacking superlatives. 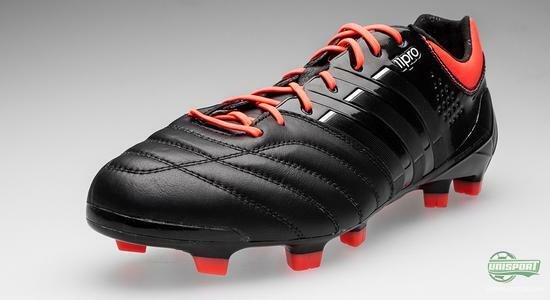 This is the concept Adidas 11Pro SL lives by, and the boot is made by the same principals as it's predecessor  A nice, elegant and classic leather-upper combined with the low weight and speed optimised Sprintframe-sole, that we know and love from Adidas' Adizero boots. 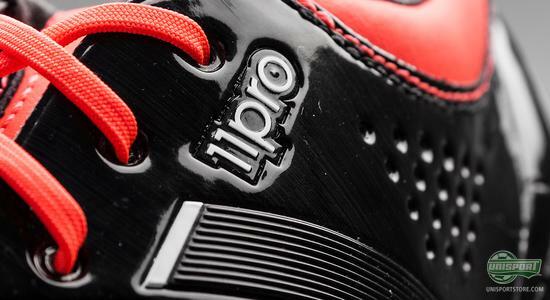 The upper on the AdiPURE 11Pro SL is made with soft, pleasant kangaroo-leather, that accounts for the boots front foot, which actually differs from the regular 11Pro, that is made with Taurus-leather. From the mid foot and all the way to the back of the heel, microfibre takes over as the material used. 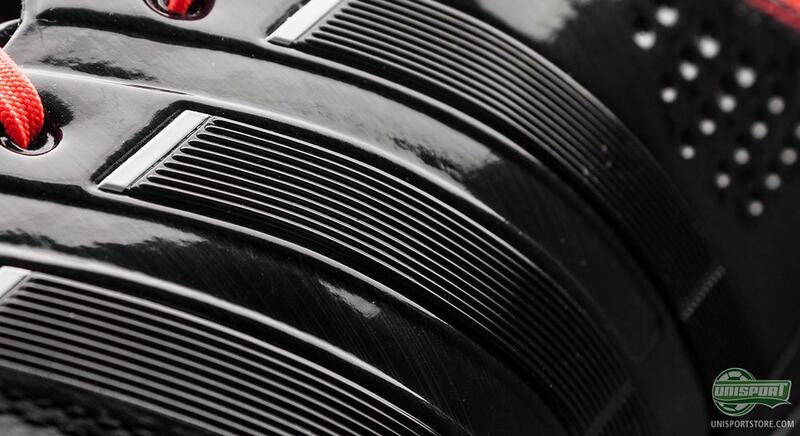 This makes for increased stability in the boot, as well as lowering the weight considerably. 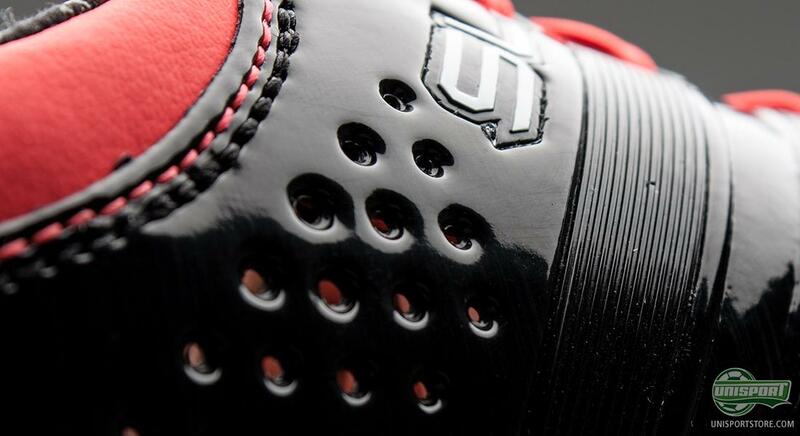 In fact, the back part of the boot, has even been perforated to save as much weight as at all possible. The sole of the boot is identical to the one, Adidas use on all their speed boots. It's the so called Sprintframe, which is an ultra thin TPU-sole, that gives you amazingly low weight and good springiness. 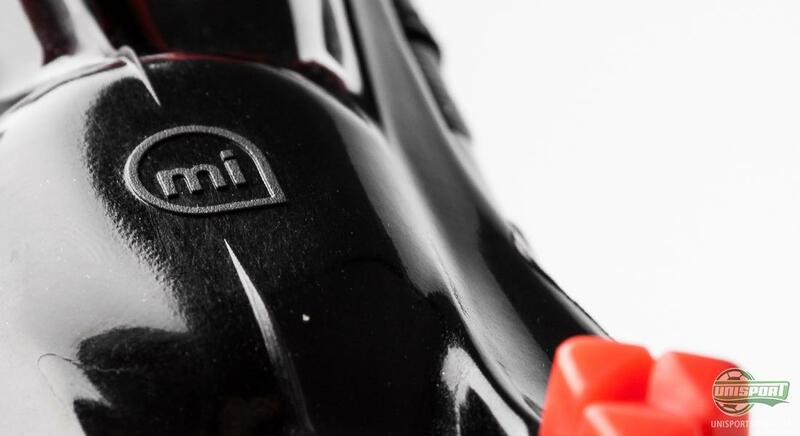 To cut further on the boots weight, there are places on the boot, where the sole is just 1mm thick, a great example of German ingenuity at its finest. 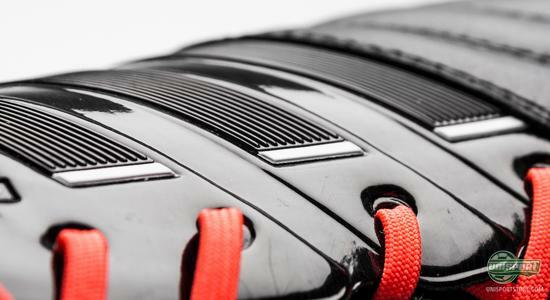 The sole is naturally also MiCoach-compatitble, so you can put in your chip, and track your on field-data, like for example; your speed, distance and number of sprints. The boot is made with the same design as the normal AdiPure 11Pro, with the three Adidas-stripes on the mid foot, and a coloured area on the heel, but bar that, the boots are very different. 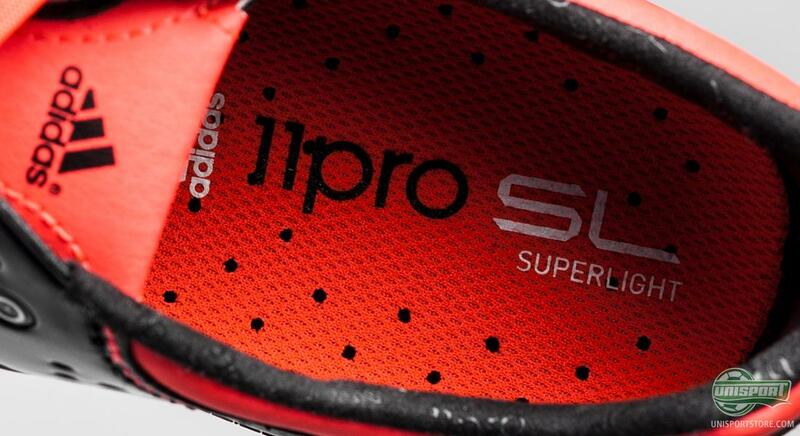 As mentioned before, Adidas use kangaroo-leather on the upper of 11Pro SL, where the regular 11Pro uses Taurus-leather, that is a more durable type of calves leather. 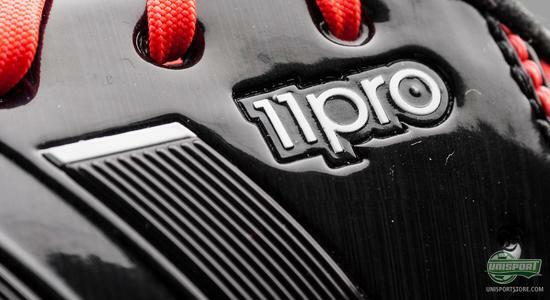 At the same time, 11Pro SL hasn't got the Duracoating on the nose of the boot, which is the iconic stripe, you find on the 11Pro. In other words, 11Pro SL is more than a regular 11Pro, that has just been given a Adizero-sole  It's an elegant hybrid of comfort, touch and low weight, that knocks the weight all the way down to 180 grams in a size 42 2/3 (EU)  Very impressive when you consider it's made partly of kangaroo-leather. 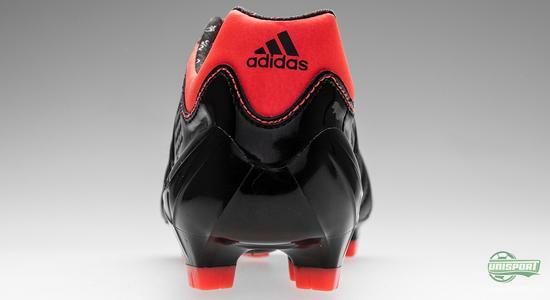 Adidas have kept the elegant style with AdiPURE 11Pro SL and the boot is almost played down, with it's black body and red accent colours. 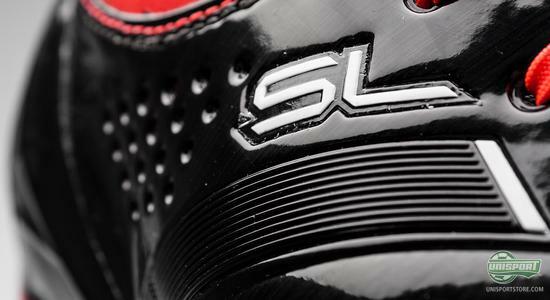 We absolutely love the new SL-model  but what do you think about it? 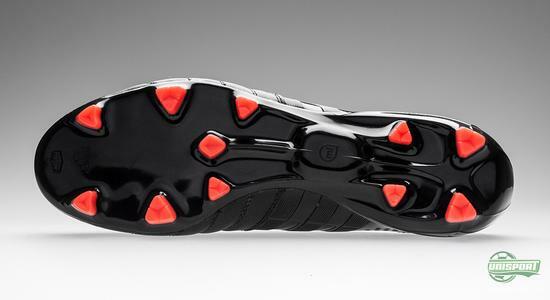 Is blackout too boring, or does the boot looks sharp and sophisticated in black? Share your thoughts with us n the comment box below.